The phrase “Native American Jewelry” is often misused to describe “Native American style jewelry”. For serious collectors, the phrase Native American Jewelry means an item made by a Native American artist. 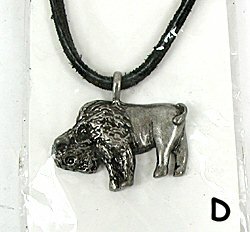 For someone trying to sell a pewter cast buffalo pendant, they might call it a Native American pendant, but it is NOT !! It might be Native American style but that’s as close as it gets. Reproductions, whether or not they are made by a Native American artist, should not be called First Phase. Instead, they should be called First Phase Style or First Phase Revival or Copy of First Phase or something similar. Then it should be clearly stated in the detailed description that the item is NOT from the First Phase which is generally considered to be from 1860-1900. Is it real or is it Memorex? ?